The Mercedes duo secured a one-two to start the 2019 season, becoming just the eighth team to ever manage such a feat at Albert Park. All of the previous seven times, the race-winning driver and the winning team have gone on to win both world titles – including Mercedes in 2015 and 2016 with Hamilton and then Nico Rosberg. Hamilton had earned an eighth pole in Australia but had lost his lead by the first corner as Bottas sped ahead and he did not catch his Finnish team-mate, finishing an incredible 20-plus seconds behind him come the chequered flag. 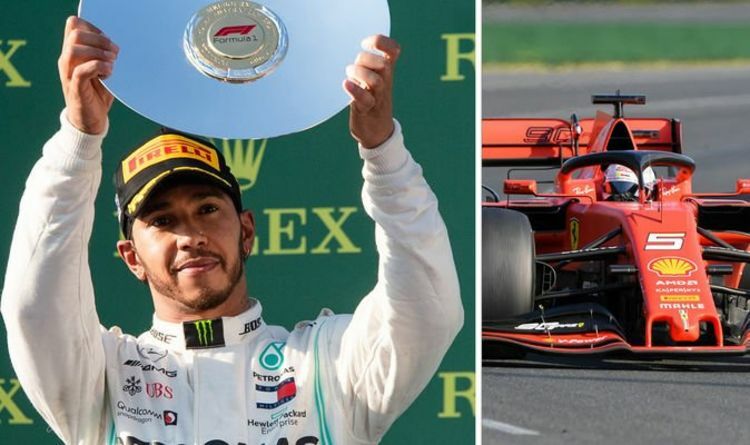 Yet even more surprising was the gap between Mercedes and Ferrari, with neither Sebastian Vettel or new team-mate Charles Leclerc making the podium in the iconic red cards. Fifth-placed Vettel was 57 seconds off Bottas and over 30 behind Hamilton as the Prancing Horse endured an underwhelming start to the year after such a promising performance across eight days of pre-season testing in Barcelona. Instead it was Max Verstappen’s Red Bull who came closest to downing the Silver Arrows, with the Dutchman a second-and-a-half off of reigning champion Hamilton. Yet Mercedes chief Toto Wolff is expecting a response from Ferrari, who are still hoping to end the five-year dominance that Wolff, Hamilton and co. have enjoyed in the sport’s hybrid engine era. Analysing the weekend, Wolff said: ”That was a great day and an awesome drive for Valtteri – a perfect rebound after how last season finished. “Over the winter, he recharged the batteries, reset, found his joy of driving again with the rally in Finland – then here it all came together for him. “I can see again the young boy I first met over ten years ago and who dominated the junior series in 2008; it was a strong comeback and a really well earned win. “That gave him a long stint on the tyres and none of us knew if they would make it to the end, so it was hard to judge the right pace and he wasn’t happy with the car balance; my feeling is that it can be tricky to find the sweet spot with these new cars and tyres, and probably we didn’t manage that today with Lewis. “Overall, though, a fantastic day for the team and a perfect result in the opening race – including the point for fastest lap. “But this feeling will only last as long as we stay at the circuit; when the plane takes off for home, our eyes will turn to Bahrain. Vettel and Ferrai have won both of the last two grands prix in the Middle East with Hamilton winless in Bahrain since 2015. It has emerged since the Australian Grand Prix that Hamilton had floor damage on his W10 and lost rear downforce, which could be the reason he was so far back on Bottas – while he also complained of poor balance. He explained: “I naturally had a lot more pace in the car. I would have kept the gap at three seconds but then the damage happened and I started to fall back.